Dengue fever continues to prevail despite all efforts of health-care systems: vector control programs against the mosquito vector Aedes aegypti, repellents and barrier inventions, education, and a vaccine touted with great expectations. The Dengue vaccine has fallen short of promise: hundreds of adverse effects have been reported, a lack of efficacy to protect against the most frequent viral serotype, together with the threat that vaccine use can increase the severity of subsequent infections. There was much hue-and-cry from public health advocates and health care workers on the DOH’s endorsement of the vaccination campaign for the Sanofi’s vaccine. 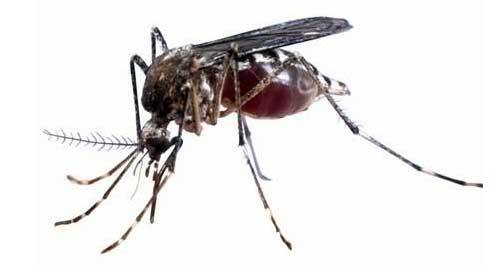 The mosquito vector remains a formidable and resilient foe. Dengue fever continues to threaten with rainy season peaks , heightened with rising urbanization and environmental disruption, unsuitable water storage and sanitation efforts, and the effects of climate change. 1 -2% of cases progress to the more severe conditions called dengue hemorrhagic fever (DHF) and dengue shock syndrome (DSS). DHF is characterized by decreasing platelet counts that usually start after the the third day. In the DHF group, plasma leakage and severe bleeding may occur resulting in organ failure and death. No specific treatment is available other than supportive care and pain relief. It is from these group that deaths occur. In the boondocks and the rural areas, because of economic want and reliance on alternative therapies, acute febrile illnesses—whether they turn out to be dengue, trangkaso, or chikungunya—are initially relegated to watchful waiting and home treatment. Home therapy starts with paracetamol, often with a two- or three-day hopeful wait for the fever to resolve or before consultation is sought—a critical time when dengue fever may be starting its progression into the dreaded Dengue Hemorrhagic Fever. In the Tiaong, Quezon area, where the herbal plant tawa-tawa has gained familiarity in the rural grapevine for its use in Dengue fever, some families use the plant on the first or second day of fever. A fever that persists into the second day might warrant a visit to the albularyo or medico who will do a diagnosis-and- treatment ritual that usually involves a bulong and tawas, to rule out or treat an affliction that might be caused by balis, nuno or dwende. Often, the healer will advise on some herbal therapy or modality: luyang dilaw, massaging of sambong leaves steeped in gas and oil, pounded ikmo leaves applied on the forehead, or even suob. Occasionally, the albularyo might advise on the use of tawa-tawa. It is not uncommon for some to self-medicate with "magasawang-gamot," a one-day combo of an antibiotic,usually amoxicillin, and paracetamol. For children, if the fever is unresolved, a visit to the doctor happens on the second or third day; for older patients, much later. Almost always, only symptomatic treatment is prescribed. Even a hospital visit does not guarantee an admission. There are cases of patients dying after being sent home from a hospital evaluation —dengue infection confirmed only after dying. In my regular updating of the medicinal plant compilation in StuartXchange, i have run into numerous studies on medicinal plants with anti-dengue properties, anti-dengue replication, beneficial effect on platelet counts, and mosquitocidal studies against Aedes aegypti. Many Philippine plants have shown potential anti-dengue benefits: (1) Papaya (2) Tawa-Tawa (Gatas-gatas) (3) Morning glory (anti-dengue vector/ADV) (4) Baling-uai (5) Kanapa (6) Dawag (7) Litlit (8) Sinta (9) Kalamansi (10) Ampalaya (11) Luhang dalaga (12) Botong (13) Kamia (14) African tulip tree (15) Palutan (16) Kamote (17) Kintsay (18) Kamatsile (19) Ipil-ipil (20) Pandan-mabango (21) Dama de noche (22) Balatong aso (23) Malayan spurge (24) Tintatintahan (25) Hagonoi-tsina (26) Red ginger (27) Paraiso (28) Palmira (29) Kasuy (30) Hangod (31) Kachumba (32) Anonas. Of the 32 listed above, two have gained familiarity in the grapevine of alternative pharmacopoeia: tawa-tawa, more familiar to rural folk, and papaya, more extensively studied of the two, but still relatively unknown in the alternative rural health care. Although both have received attention in internet niches of blogs and news releases, little has been done to disseminate the information of potential benefit to the rural areas. By rural grapevine spread, tawa-tawa has managed to gain stand-by status in the some barangays in the rural areas. However, although supposedly abundant in waste places and open grasslands, it is not easy to find. (1) Boil one plant for i minute in a slow rolling boil; cool. Drink 1 to 1 1/2 glasses every hour for 24 hours. (2) Boil for 1 minute roots from 6 plants; let cool. Drink 1 to 1 1/2 glasses every hour for 24 hours. (3) Boil in 1/2 liter of water 100 grams of fresh whole plant for 15 minutes. Cool and filter. Drink 1 glass every hour until fever subsides and fully recovered from the illness. Carica papaya is much more available as backyard or commercial cultivation. It's leaf juice is now being widely used for the treatment of Dengue fever in many countries. Many studies have been done, including three randomized control clinical trials. No significant adverse effects have been reported, with no toxic effects even at higher doses. • Use in Pregnancy: Papaya leaf juice is not advised in pregnant women who contract dengue. The papain in papaya is a potent potent proteolytic enzyme found abundantly in seeds, leaves, and fruit and has been reported to cause miscarriages and be unsafe to the unborn baby. • C. Decoction: (1) Wash and partly dry some medium-size papaya leaves. (2) Separate from long stems and central veins. (3) Cut into small pieces. (4) Place in a sauce pan with 2 liters of water. (5) Bring to a boil and simmer until the water is reduced by half. (6) Strain the liquid and place decoction in glass containers. (7) Add sugar to taste. Drink half a glass every six hours. (8) May be stored for up to 5 days, but preferably used as fresh as possible. • D. Juiced: (1) Put the cleaned leaves through the juicer to extract the juice. (2) Store the juice in the fridge to consume within 4 or 5 days. • D. Blend: (1) Crush 10 leaves and put in a blender with a cup of pure drinking water. (2) Blend the leaves. (3) Strain out the juice using a cheese cloth. (4) Use a tablespoon one to twice daily. Alas, in the Philippines, for many of the poor in the boondocks and remote rural areas, the first day or two of a febrile illness are often consigned to hopeful waiting and home therapies, seeking consultations with albularyos, hilots, and medicos two or three days later when the fever fails to resolve. For many of the poor in the boondocks and the remote rural areas, where the early days of febrile illness are often consigned to hopeful waiting and home therapies, albularyos, hilots, and medicos, I suggest the use of papaya leaf juice as empirical addition to the treatment of acute febrile conditions, and to continue its use until the fever subsides, even without the benefits of viral testing. The clinical studies and its safety profile are compelling and should justify its use. Early use may prevent the progression of some cases of Dengue fever to the dreaded Dengue Hemorrhagic Fever, possibly avoid hospitalization and the need for platelet transfusions, and actually save lives. Yes, I can hear the hue and cry, the chorus of "Horrors!" from the traditionalists. A simple web search for "papaya-dengue" will yield dozens of blogs, articles, and news releases. A search for "carica papaya for dengue treatment" likewise yields dozens of medicinal studies. What surprises is how papaya leaf extract has failed to catch on in the rural grapevine of alternative therapies for dengue, the way tawa-tawa—although relatively underused—has become the familiar anti-dengue plant. Papaya is ubiquitous, much more available than tawa-tawa. Many studies have already suggested potential benefits for Dengue fever treatment, and possibly, for other mosquito borne viral diseases, and most importantly, besides its potential benefit for the dreaded decreases in platelet count and progression to DHF, it boasts of an equally compelling safety profile. A volume of work has already been done on papaya leaf extract: studies on Dengue treatment, platelet benefits, formulations, vector control, and other clinical applications (antihelmintic, antioxidant, antiulcer, anticancer, hypoglycemic, antimalarial, hypotensive, etc.) It is quite possible papaya leaf juice will prove to be effective as empiric prophylactic therapy for dengue and other diseases. Equally surprising as how little is known of papaya leaf extract in the rural grapevine of alternative therapies, is why—in the absence of any specific anti-viral therapy for Dengue fever, the predictable statistics of death and morbidity, and despite the accumulation of studies on its benefits—the papaya leaf extract has not found a place in the treatment recommendations of traditional health care. While we benefit greatly from already available volume of information on papaya leaf extract, the Philippines can contribute clinical studies that could further add to the evidence of efficacy. Papaya leaf extract should be evaluated for affordable and alternative formulations with longer shelf-life and easy accessibility for future use, with guidelines for use and home preparation methods disseminated through the barangay health care system. Studies have shown that papaya leaf juice has worked benefits in cases of dengue, and, possibly, saved lives. While there is no certainty that it will work on everyone, for a disease that continues to escape the science of cure and prevention, that burdens humanity with predictable deaths and morbidity, there is no reason to deny papaya leaf juice a place in the prevention and treatment of suspected dengue fever. World Health Organization: Western Pacific Region (2008) Chapter 7. Priority communicable diseases. In: Health in Asia and the Pacific. Dengue virus pathogenesis: An integrated view. / Martina BE, Koraka P, Osterhaus AD. / Clin Microbiol Rev 2009;22:564-81. 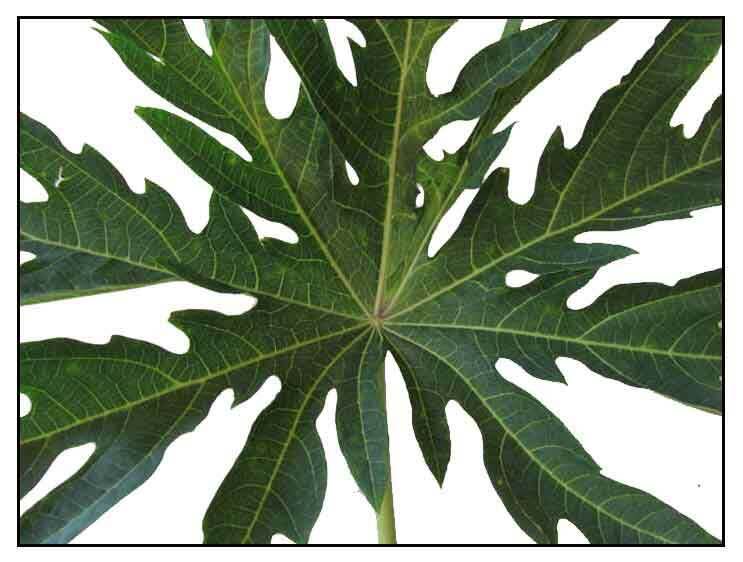 Extract of Carica papaya L. leaves: Standardising its use in dengue fever / Reshma Mohamed Ansari / Letter to the Editor: Indian Journal of Pharmacology (2016) Vol 48, Issue 3, pp 338-339. Flavonoid from Carica papaya inhibits NS2B-NS3 protease and prevents dengue 2 viral assembly. / Senthilvel P, Lavanya P, Kumar KM, Swetha R, Anitha P, Bag S, et al. / Bioinformation 2013;9:889-95.